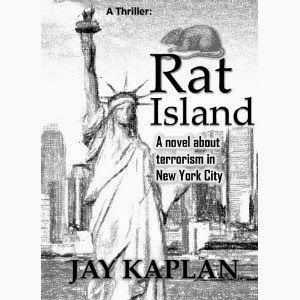 "Rat Island," by Jay Kaplan, is a thriller/suspense novel about a terrorist plot to detonate a bomb at ground zero. A group of highly trained SEALs is determined to foil the plan, using every tool in their arsenal to figure out everything they can about the plot and defuse it. "Rat Island" is a fast-paced book with each chapter beginning with a place and a time e.g. 12:00 AM, July 23rd, Outside a factory in Gdansk. You really get to see the progress of the terrorists, which builds the tension as the SEALs race to stop them. I loved reading about the various settings. Recommended for anyone who wants to read a thriller about a terrorist plot!